Through their trademark HUMANS & SPORT, The International Humans Company follows a lifestyle which is modest on the outside but strong and sound on the inside, behind the martial arts. 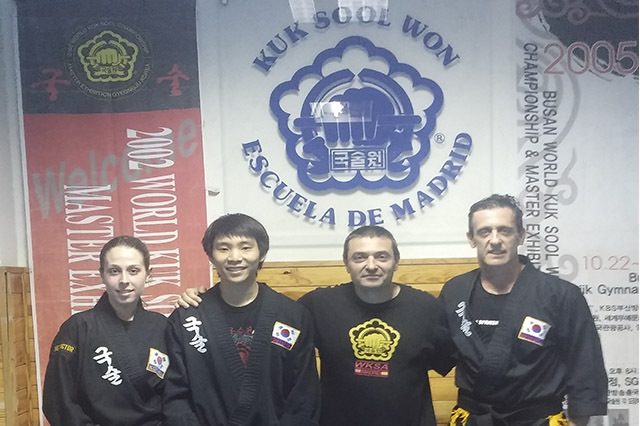 KuK Sool Won has been Korea’s national martial art since the last century and the Madrid school is one of the largest advocates of this sport in Europe. Instructor José Luis Galache, a fifth Dan in KSW, runs the Professional School in Madrid and, with his students, takes part in competitions all over the world.